When Lucy was nearly 11 months old, she was diagnosed with kidney failure, and her mum Amanda had to stop breastfeeding cold turkey. Lucy is now 18 months old. Amanda has been exclusively pumping since the diagnosis, because not only are the majority of formulas on the market unsuitable for a baby with kidney failure, but Lucy also has CMPI (Cow’s Milk Protein Intolerance). Lucy is in kidney failure from end-stage kidney disease. It’s suspected she has a condition called infantile nephronopthisis, which will be confirmed by results from genetic testing. At only 18mo, Lucy is waiting on a kidney transplant, and has to undergo peritoneal dialysis until she gets one. The dialysis involves a catheter running into her belly and to her periotoneum. The catheter recently moved out of it’s intended position, causing great discomfort for Lucy during dialysis, and requiring surgery to move the catheter back to where it belongs. This photo was taken while Lucy was recovering from that operation, with Amanda needing to comfort Lucy while pumping. Lucy wasn’t passing any urine at all, and was overloaded with fluids, so Amanda was told to stop breastfeeding immediately, with no opportunity given to gradually wean. As if that wasn’t enough, Lucy essentially had to starve or risk making her situation worse. 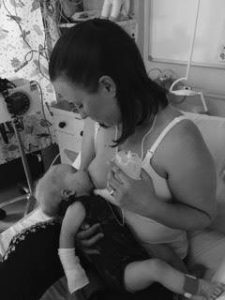 Like many breastfeeders, Amanda had mothered Lucy with breastfeeding, and was distraught and felt unable to offer comfort to her daughter when she needed it most. Initially, Amanda had some hope that she and Lucy might be able to return to direct breastfeeding, but she kept getting mixed messages from the variety of health care professionals she had to see. Some were very optimistic and encouraging of Amanda continuing to express, and others were not. Thankfully there was a Dietician, Lactation Consultant and one particular Doctor who recognised the importance of breastfeeding in this situation. They helped Amanda devise a system that involved placing a carefully measured, fortified feed into an SNS (Supplemental Nursing System) and using it to feed from a thoroughly drained breast. Lucy and Amanda were able to breastfeed this way for a week, which allowed them to enjoy their remaining breastfeeds together, and gave Amanda a degree of closure. Amanda said she feels comfortable pumping in front of the doctors and nurses that come and in out of the dialysis room, and they also seem very comfortable being around her too. The nurses have been very encouraging too. 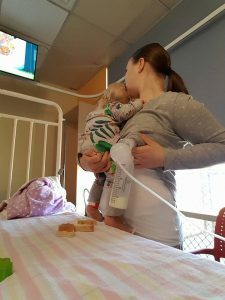 Amanda also feels the Lactation Consultant has gone above and beyond her duty, from checking in to see how she is going, to finding her a pump to use at hospital that was the same as her one at home, right down to finding vegan recipes for Amanda to use (as Lucy has CMPI and a possible egg allergy). The Australian Government’s Organ and Tissue Authority maintain a national donor registry at Donate Life. 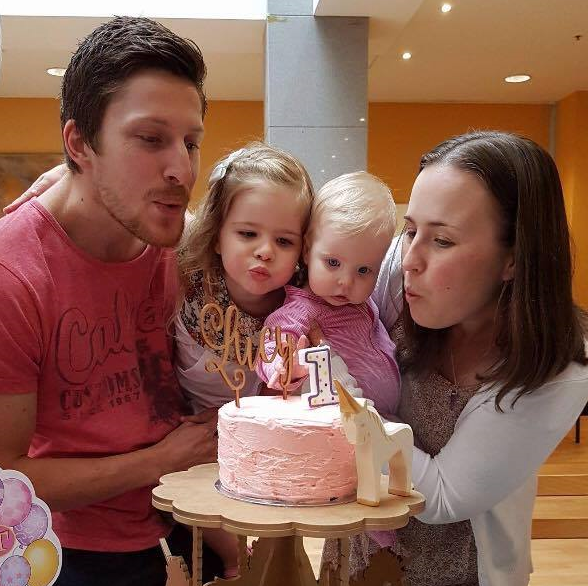 You can register your intention to donate your organs and tissue to people like Lucy. But as Amanda says, you also need to discuss your decision with your family, for they need to give permission for this to happen once you’ve passed. You can get yourself onto the organ and tissue registry by filling out this online form.